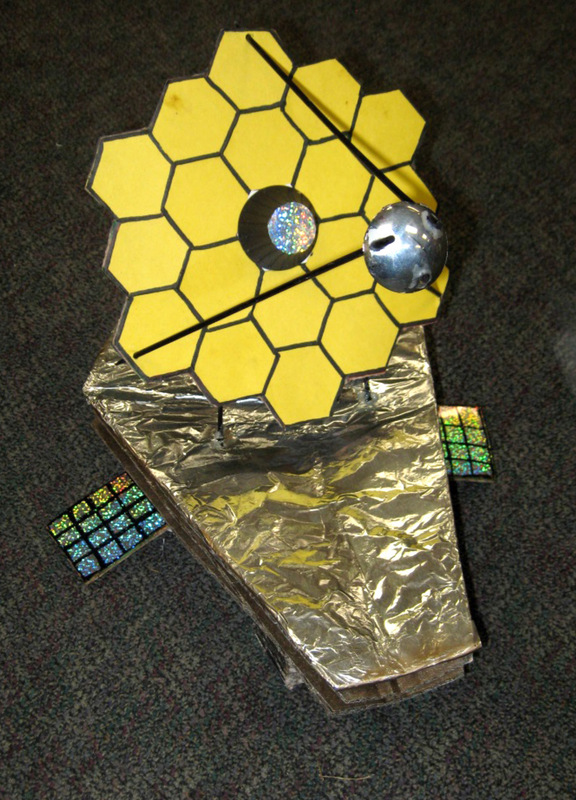 Students at Searles Elementary School researched the James Webb Space Telescope. Then they collected recyclable materials to use in the construction of their own JWST models. 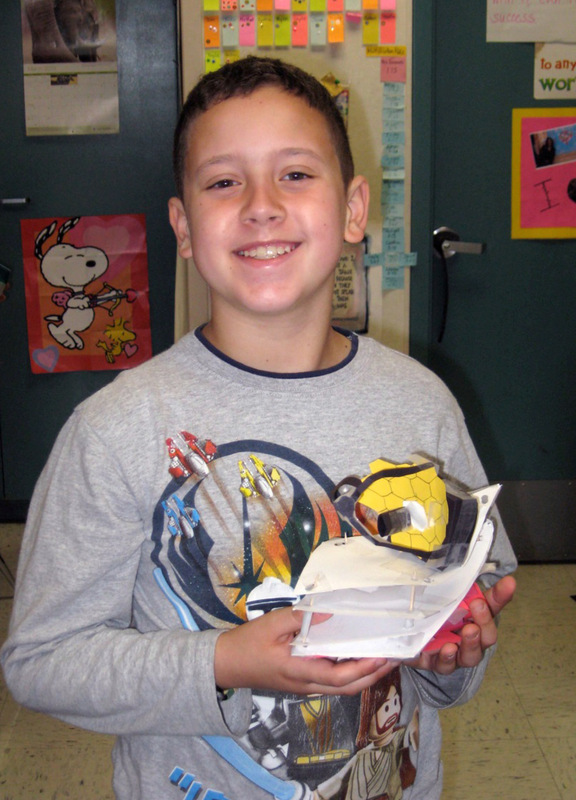 I challenged my 5th graders to connect our daily focus of recycling and developing a “green lifestyle” to build a James Webb model using recycled materials. They worked as individuals or teams to plan and construct their models. Students learned that constructing a telescope successfully requires trial and error. They felt a kinship with the James Webb engineers and scientists who must design and redesign until the telescope is perfect.